We have discussed this in the past, but I think it is time to bring this back to the surface. It is time to reintroduce the dental team for sleep apnea care! When it comes to providing your patients with dental sleep medicine services, it is important to understand that this isn’t a one person job. It requires a team-based care approach, which means every dental team member plays a role in sleep apnea care. Dentist you play a vital role in dental sleep medicine, but each member of your dental team also needs to evolve with the new roles and responsibilities to help patients with obstructive sleep apnea (OSA). From the receptionist and billing coordinator to the hygienist and dental assistant, the office plays an integral role in the screening and managing for potential patients who might not know they suffer from OSA. The first member of the dental team for sleep apnea care is the front office staff. This is the face of your office because they are the ones who greet your patients at every visit. There are two pathways for patients: One is identifying a patient in the dental office and sending out for a diagnosis, while the other is referred in from a sleep doctor or advertising efforts. Remember, if they come to the dentist for services, then an order from a physician is required before oral appliance fabrication can be completed. Due to this, the front office holds an important role and must fax a request or educate the patient of the need for a referral from a sleep physician. Beginning with the initial phone call, the front office team will ask patients that are referred to the office to bring a copy of their sleep study, medical insurance information and any other important information needed. Once a patient is a candidate for oral appliance therapy, verification and, in some cases, predetermination is initiated to determine benefits of coverage for treatment. This is where the billing coordinator steps in. The billing coordinator is essential in the treatment process to ensure every patient receives the appropriate benefits they deserve as determined by their insurance. By obtaining proper training , the billing coordinator can establish proper referral, communication and medical billing protocols—more than just completing and sending claims. Hygienists are looking for and eradicating periodontal diseases, while improving their patients’ overall oral health. At the same time, hygienists perform an array of other dental duties, including looking for cavities, oral health education and screening for oral cancer. As the first person your patients meet once in the dental chair, hygienists offer recommendations based on a patient’s individual needs, which might include advice on screening to rule out a sleep breathing issue. While obstructive sleep apnea is not the first thing that comes to mind when visiting the dentist, the area of dental sleep medicine continues to advance. Initial screenings might identify patients that snore, feel tired all the time or know someone who had been diagnosed with sleep apnea, yet never sought treatment. By screening and asking questions, dental hygienists will bring their findings to the dentist for further discussion—creating an opportunity for treatment and the possibility of a referral to a sleep physician. Working closely with the dentist is the dental assistant. The role of the dental assistant is just as important as the dentist. 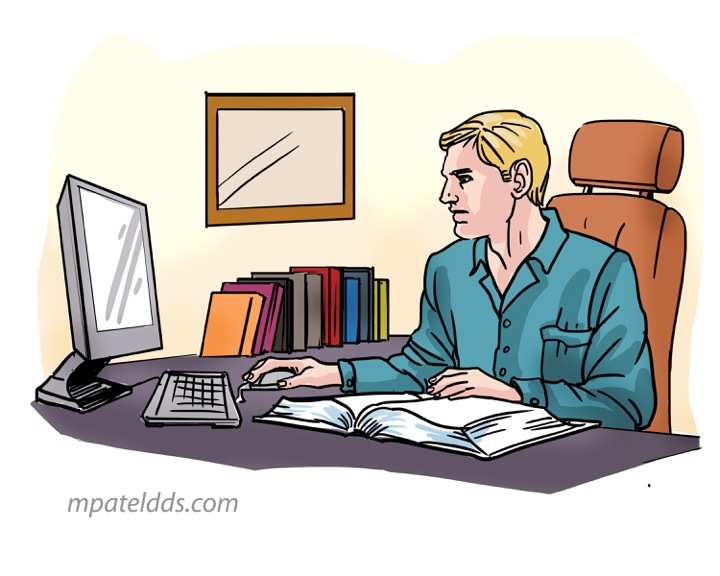 In this role, you will help the dentist by charting his findings, getting impressions and assisting in capturing the bite–this is the starting position for the oral appliance. Once the oral appliance is delivered to the office, the dental assistant will fit the device or assist the dentist in fitting the appliance, providing instruction, and informing patients on when and how to wear it. This is the main person on the dental team for sleep apnea care. As the dentist you have two roles in dental sleep medicine. After examination, to discuss with the patient that they may have a condition that needs to be tested; and determining if a patient is a candidate for oral appliance therapy. With two roles, dentists’ will either be recommending that patients visit a sleep doctor for diagnosis or treatment be based on a referral from a medical doctor, which is where the front office staff comes into play. If a patient is a candidate for oral appliance therapy, then the dentist will educate each patient on oral appliance therapy. Each member of the dental team plays a vital role in implementing Dental Sleep Medicine. From the dentist to the front office staff, it is important to understand and execute your new roles when providing dental sleep medicine services for patients. With the unique opportunity to diagnose and treat sleep apnea, dentists should consider continuing education not only for themselves, but their entire dental staff as well. You can take the next step toward healthy, happy patients be educating them on the different roles in dental sleep medicine. Who is Part of the Sleep Treatment Process? A board certified sleep medicine physician has the necessary skills to diagnose and treat sleep disorders. If you suspect your patient might be suffering from a sleep disorder, the first person you should contact is your local sleep medicine physician. Each sleep medicine specialist has received special training that can prevent serious life-threatening diseases and improve your quality of life. A sleep technologist will assist in the evaluation and follow-up care of patients with sleep disorders—they interact directly with the patients. They will assist the sleep medicine physician with diagnostic tests, including in-lab sleep studies, multiple sleep latency testing (MSLT) and the maintenance of wakefulness testing (MWT). A sleep technologist will also score sleep tests prior to the physician’s interpretation, while also assisting patients with their home sleep tests. Nurses and physicians assist the sleep medicine physician in providing care for your sleep patients. Their roles will vary by state, but both typically practice within the scope of practice as defined by a state licensing board. Also known as an otolaryngologist, a sleep surgeon has a specific interest in treating snoring and obstructive sleep apnea. Sleep surgeons work closely with a board certified sleep physician to provide proper care for patients who cannot tolerate CPAP therapy. The sleep surgeon can discuss with your patient each surgery option available. Mental health professionals that have training in behavioral sleep medicine can work with patients to address the behavioral, psychological and physiological factors that might be interfering with their sleep. A behavioral sleep medicine specialist will use cognitive-behavioral therapy to attempt to eliminate habits, behaviors and environmental disruptions that stand in the way of optimal rest. As a dental sleep medicine specialist, you can often recognize a sleeping problem before it worsens. You can also provide effective treatment for your patients. 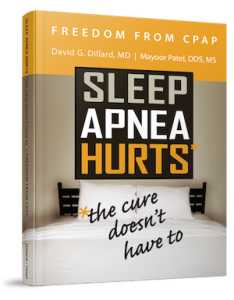 Dr. Mayoor Patel is available to help teach and guide you in your role as a dental sleep medicine specialist and how you can successfully treat your patients. 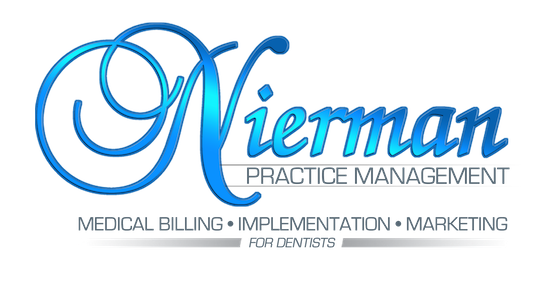 At Nierman Practice Management, we have some upcoming lectures that I think you will love! For today I want to touch base on A Day in the Life: Run Your Practice Like the Experts. I highly recommend attending this lecture series to further enhance your practice and your understanding of how to properly run your practice when incorporating Dental Sleep Medicine. This is a two-day “over-the-shoulder” seminar that gives you the opportunity to firsthand experience how the experts run a successful dental sleep medicine or TMD practice. By having a credentialed mentor, it can help to propel you and your team to the next level in expanding your practice. Through shadowing, you will be able to discuss how to overcome specific roadblocks you may be facing. And, the pieces will come together at a much faster rate than trying to do it all on your own. After all, don’t you wish you could have questions answered immediately rather than having to wait for a response through email or a tutorial? I thought so; me too. This course is perfect for practices that have already taken several courses and are ready for a dedicated hands-on learning experience that will be essential to their growth as a sleep medicine dentist. Remember, though, in order to keep each session as personalized as possible, attendance is limited to three practices by application only. I look forward to seeing you in December and hopefully working together to get your practice on track for dental sleep medicine and TMD services! You can also visit the lectures section of my website for more dates and times for different lectures. It’s that time again! While your children might be getting ready to go back to school, don’t you think it is time for you to think about continuing your education, too? I think so! As your children get ready for school, make sure you take a look at some of our upcoming lectures for the rest of the year. Here are the lectures from September through the end of the year because you won’t want to miss out! Our Pinpoint the Pain lecture series takes place September 25-26, 2015 and is located in Jupiter, Florida. This two-day seminar gives dentists the opportunity to understand the neuroanatomical relationship within the cranio-cervical area that can complicate the diagnosis of a simple toothache or other orofacial related pain. Pain referral patterns can render misdiagnosis, which can potentially lead to unnecessary or ineffective treatment. In this lecture series, we will discuss pain and how to pinpoint pain. In this two-day lecture series in Jupiter, Florida we will take a look at Advanced Dental Sleep Medicine. October 9-10, 2015, join us in this two-day lecture series on the next step in implementing dental sleep medicine. It empowers dentists and their teams to overcome clinical and administrative obstacles to incorporate sleep apnea into their practice. Explore each of the upcoming lectures to choose which ones would be best for you and your office! I look forward to potentially meeting you and helping you with your journey to improve services offered in your practice!